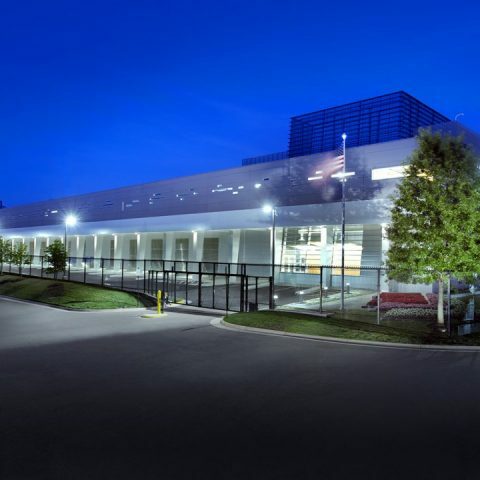 Ford Motor Co. Enterprise Data Centers - Motor City Electric Co.
Ford Motor Company has committed $200 million for two advanced, state-of-the-art data centers to take them into the next generation of mobility services. The company formed Ford Smart Mobility in 2016 to grow its leadership in the connectivity, manufacturing, and support of electric and driverless cars. 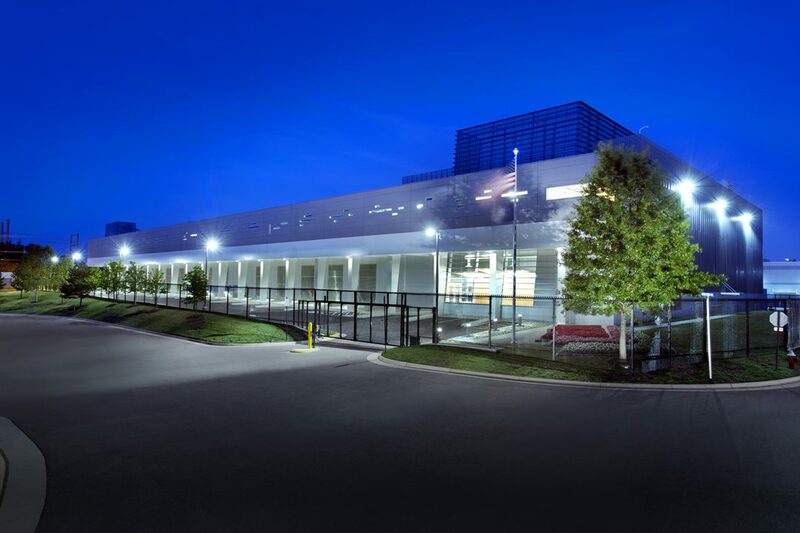 The new data center facilities will support Ford’s transformation into an auto and mobility company and to boost the company’s digital capabilities for mobility services and other computational needs. Manufacturing and new mobility services, such as more connected, autonomous, and electrified vehicles, are expected to increase the company’s data storage requirements from 13 petabytes today to more than 200 petabytes in 2021. Enterprise Data Center 1 (EDC1) is located on the campus of Ford’s headquarters in Dearborn and Enterprise Data Center 2 (EDC2) is under construction in Flat Rock. 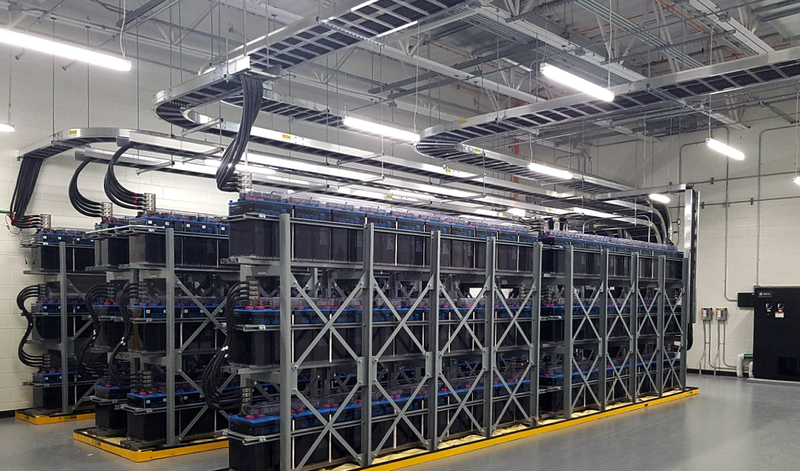 These new data centers will help Ford create a world‑class infrastructure for the storage, processing, and integration of data. The centers also will increase the ability of Ford’s global data insights and analytics team to transform the customer experience, enable new mobility products and services, and help Ford operate more efficiently. 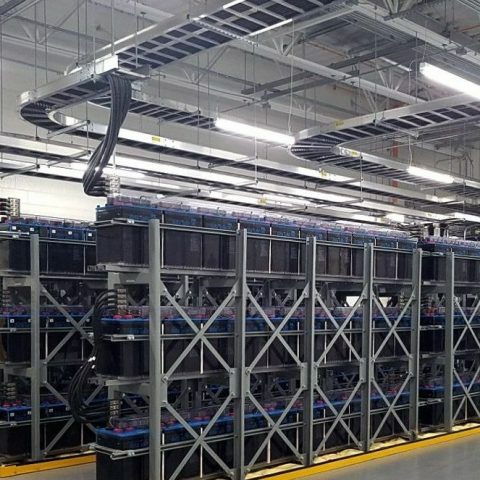 Ford chose Flat Rock for the second data center as they are expecting to build a fully autonomous hybrid for ride-sharing fleets and an all-electric sport utility vehicle there. Motor City Electric Co. and its subsidiaries were awarded the $45 million design assist contract for EDC1 and the $55 million contract for EDC2. Work on EDC1 commenced in October 2016 and is 95% complete as of today. We started on EDC2 in November 2017 and it is schedule for completion in March 2019. The work performed involves the complete electrical installation including incoming primary power, general distribution of power, UPS systems, and feeds to mechanical systems. Each of the EDCs is approximately 210,000 sq. ft. and will be Tier III Certified by Uptime Institute. 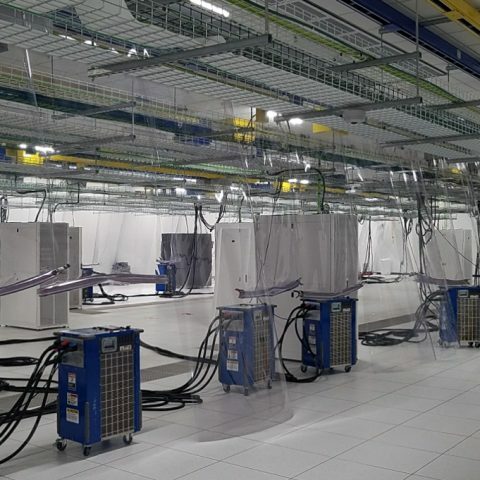 A data center built according to Tier III specifications requires at least n+1 redundancy as well as concurrent maintainability for all power and cooling components and distribution systems to ensure 100% availability for users. These specifications have to be met from the power, cooling, and building infrastructure fronts to the server rack level. eight diesel generators on each building. Each of the 2.5 MW generators arrived onsite in three massive sections: the tank, the housing, and the generator itself. We assembled, installed, and tested them. Automatic transfer switches (ATSs) automatically switch over to the backup generator if the utility power supply goes down. 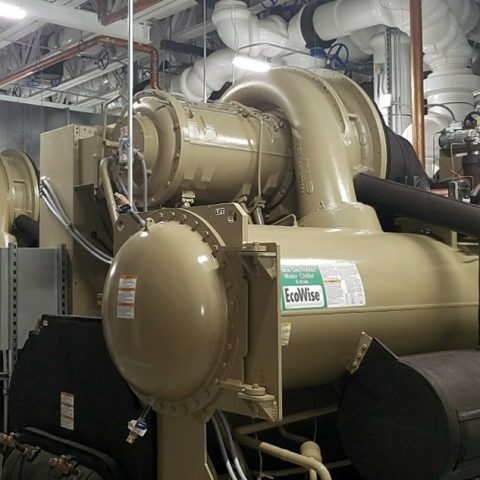 Motor City Electric Co. met Tier III data center mandates by installing two ATSs connected with 2 MW paralleling gear to each generator to ensure redundancy and concurrent maintainability. Power distribution units (PDUs) distribute power to the IT load (such as servers and networks) via the UPS and provide power for non-IT loads (air conditioning and other infrastructure systems). 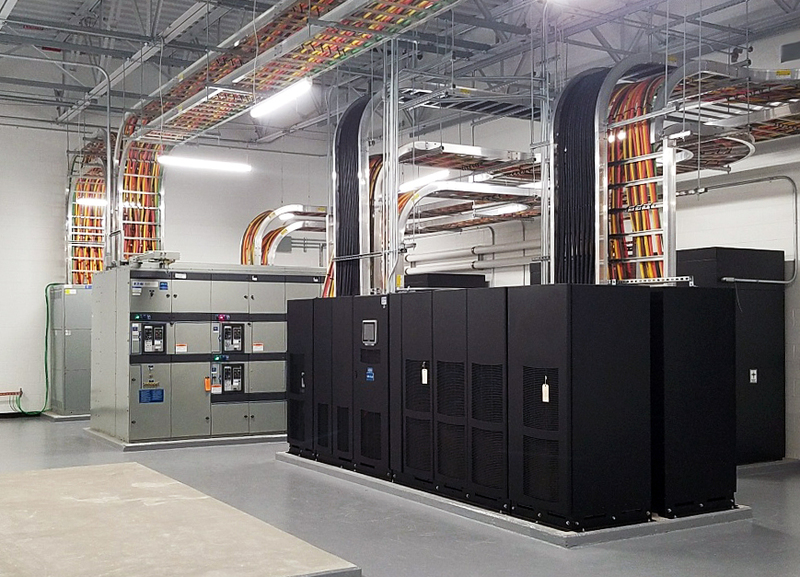 Motor City Electric Co. installed 52 separate PDUs for each data center to provide redundancy and concurrent availability. We also installed multiple power lines between each ATS and PDU to achieve Tier III specifications. Power from the PDU is used by the Uninterruptible Power Supplies (UPSs) and delivered to the power distribution boxes for server racks as well as network infrastructure. 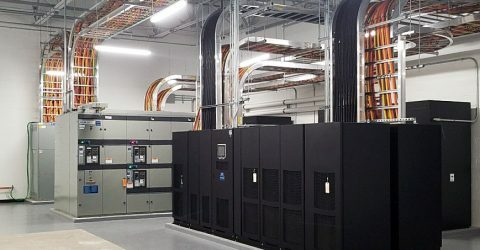 Tier III specifications require that each UPS be connected to just a single PDU for redundancy and concurrent maintainability. 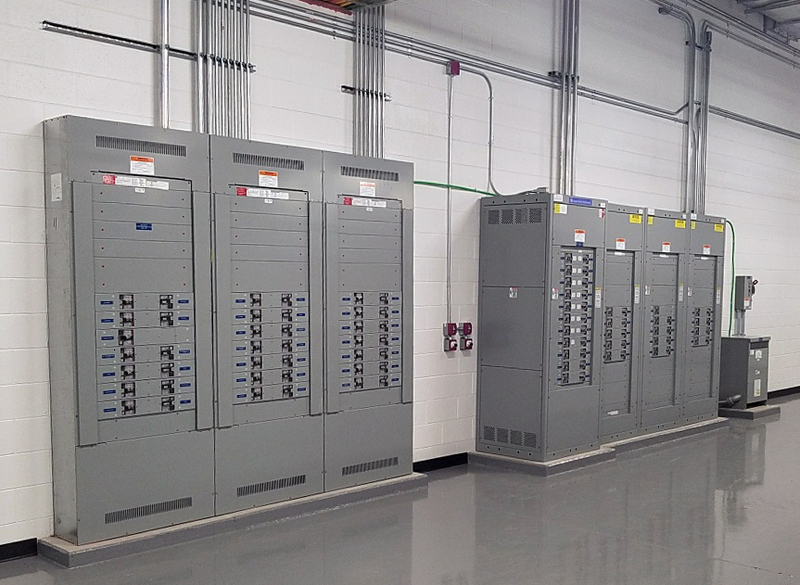 Motor City Electric Co. installed 13.2 kV lineups between the ATSs and power distribution units and between the PDUs and the UPSs. Each server rack must have two PDUs in order to conform to Tier III specifications. 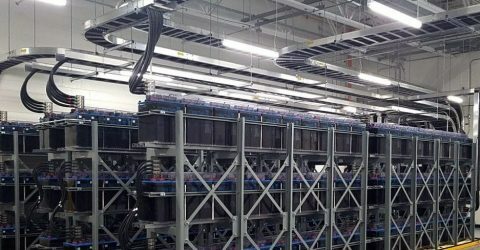 The servers in each rack should have dual power supply features so that they can connect to the power distribution boxes. 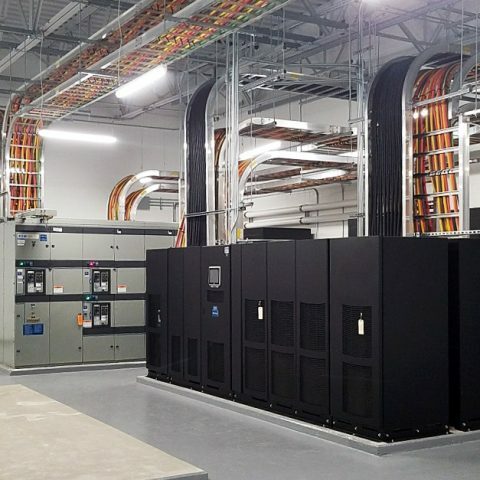 Motor City Electric Technologies (MCET) performed the buildout and installation of the rack equipment and ensured that they conform to Tier III data center specifications. 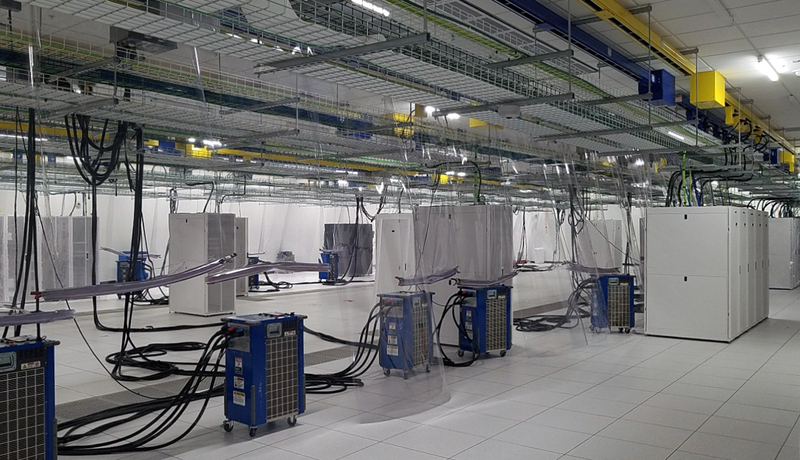 In Dearborn, MCET oversaw the installation of 160 racks and 248 wire managers. 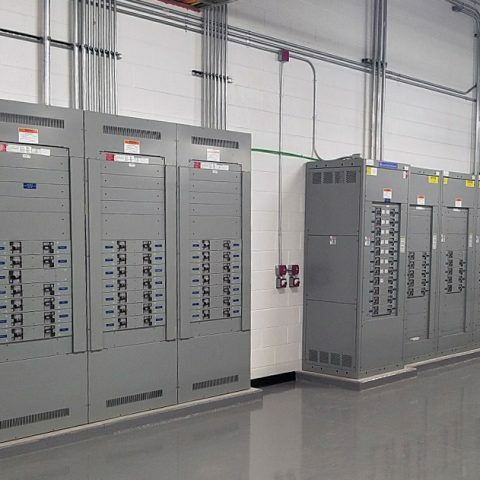 Motor City Electric Co. also installed four 6,000 amp substations and four 4,000 amp substations in each of the data centers while Motor City Electric Utilities (MCEU) provided temporary electrical for construction at both sites and will perform directional boring at the Flat Rock site. The boring will consist of two 500-foot long bores that include 12 5‑inch conduits. One of these bores is located under a railroad spur and creek. not diligently monitored activity and made the necessary corrections. Another challenge was the massive amount of deliveries received at the job sites. There were multiple deliveries every day for at least four months! All of the deliveries had to be coordinated so that materials and equipment arrived in the correct order and did not interfere with work in progress – both ours and that of the other trades. To get a good idea of the volume of materials and equipment, 90 semis arrived carrying just the batteries for the UPSs!!! 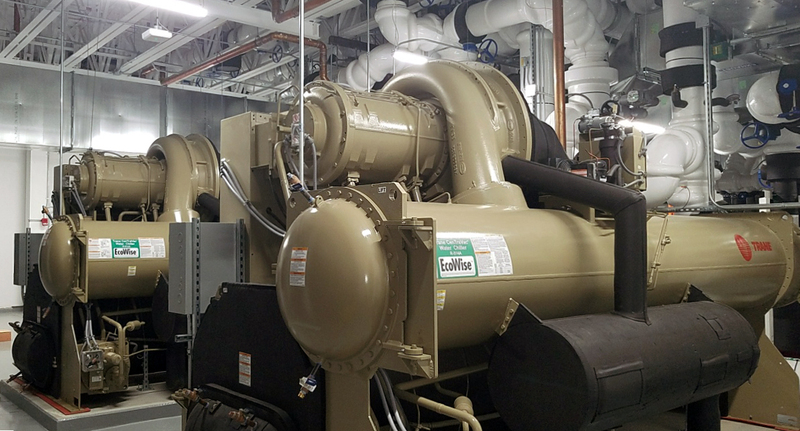 We are proud to be part of Ford Motor Company’s transformation and even prouder of the quality, hard work performed by every one of the Motor City Electric Co., Motor City Electric Technologies, and Motor City Electric Utilities team members on these projects. Motor City Electric Technologies Inc.
Motor City Electric Utilities Co.